Cuba is opening up its first church in 60 years, following a warming of relations between the Vatican and the long-reigning communist government. 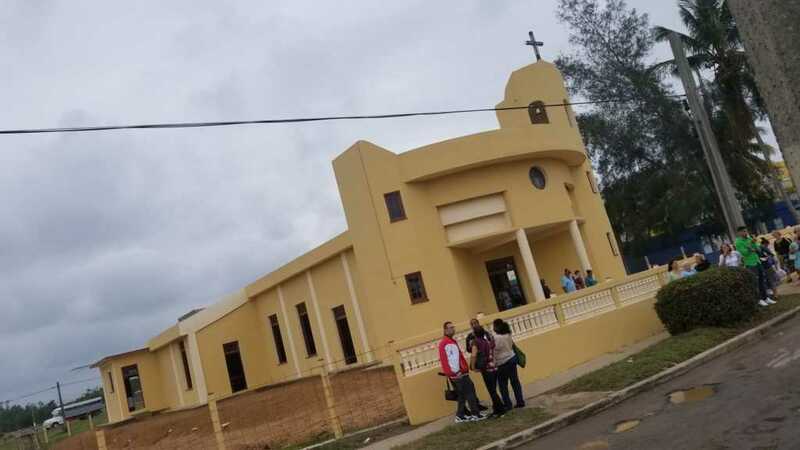 The Parish of the Sacred Heart of Jesus, one of just three churches approved by Cuba, has swung open its doors for the first time since Fidel Castro’s 1959 communist revolution that ushered in a new era of atheism. The rural town of Sandino will be home to the recommissioned church, which was dedicated on Saturday and backed by the unfailing support of a Florida community. Tampa’s St. Lawrence Church played a central part in funding the reopening, with the area being home to the nation’s third-largest Cuban-American population. “Six decades after the Cuban Revolution, a new sign of faith,” the Catholic Diocese of St. Petersburg declared on its website, as reported by The Tampa Times. Among the many guests that attended the powerful dedication service was Father Chuck Dornquast, parochial vicar of St. Lawrence Parish. Despite having a capacity of around 200 people, the 800 square foot sanctuary packed in 500 excited attendees for the powerful dedication service. Prior to Saturday’s beautiful dedication, Catholics residing in Sandino celebrated Mass in private homes. As parishioners in the rural town strolled into the newly opened place of worship, many wept with joy. Pray for this faithful Christian community as they boldly seek to follow the Lord in their land.